There are already fingerprint readers out there promising easy integration with Windows Hello. Synaptics' solution builds it into peripherals you're already using. Windows Hello, Microsoft’s new biometric authentication feature built-in to Windows 10, promises added security for your PC. 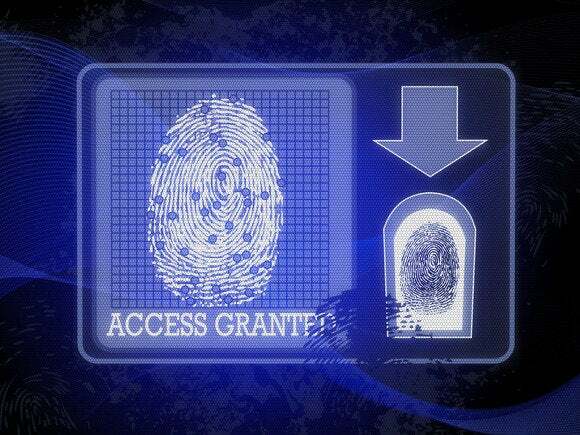 The problem is your PC needs to have a fingerprint reader, depth, or iris camera to use it, which can be expensive. Touchpad maker Synaptics is looking to make it easier to add biometric authentication to Windows 10 PCs with a new technology called IronVeil. With IronVeil, peripheral makers can add fingerprint recognition to a mouse, keyboard, or any other peripheral that works with Windows 10. IronVeil itself is a small embedded sensor measuring 0.15-by-0.39 of an inch that promises to authenticate users within 180 milliseconds. IronVeil inside Thermaltake’s gaming mouse. So far the only product Synaptics has to show off with IronVeil inside is a prototype Thermaltake Black V2 gaming mouse. To authenticate via IronVeil, you place your thumb on the side of the mouse and waits for Windows 10 to authenticate you. Using a gaming mouse as an early example of IronVeil’s usability is no accident. Synaptics sees IronVeil as an easy way to give gamers a fingerprint reader. Biometrics can solve a number of problems in the gaming world, such as using ringers to fight battles for you to increase your rank or overall score in a game—a practice known as ‘smurfing.’ If you have to authenticate with your fingerprint before playing that can help to discourage the practice. Synaptics also sees biometrics as paving the way for mainstream eSports betting where you can be sure that a game isn’t rigged via smurfing. 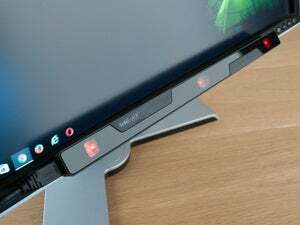 As TechReport points out, whether gamers take to the mouse depends on how it’s weighted and feels in the hand with the additional sensor. The mouse is a key component for any PC gamer and slight changes in design are sure to be noticed by high-level competitors. The impact on you at home: Beyond gaming, IronVeil allows regular users to take advantage of Passport, a complementary Windows 10 feature to Hello. Passport uses Hello’s biometrics to allow users to login to supporting websites and services, as well as authenticate online purchases. Peripherals loaded with IronVeil aren’t yet available, but Thermaltake hopes to roll out its mouse this year. We didn’t hear about pricing or a release date; however, TechReport says the IronVeil-loaded mouse will cost $60 and roll out before the spring.